Welcome to the 11th Annual Southern California Vintage BMW Meet which will take place on Saturday, November 3, 2018! The Meet will run from 8AM - 4PM. As always the Meet is at Woodley Park in Van Nuys, which is the premier outdoor venue for car events in the LA area. Those of you that participated with us in past years already know how great a location this is - and we are planning to have the same great fun with great Vintage BMWs as we do every fall! The SoCal Vintage BMW Meet is always the first Saturday in November so it will be the same weekend as the France and Italy car show which is always the first Sunday November - a great car weekend overall! The show is open to all Vintage BMWs from from 1989 back, including all cars to the end of those models production runs (E34,E32,E31,E30, E28, E26, E24, E23, E21, E20, E12, E9, E6, E3, 2002, Neu Klasse, 700, Isetta and all going back) which makes the SoCal Vintage BMW Meet the largest independent Vintage BMW Meet in North America. BMW Motorrad are also welcome - but Airheads only! 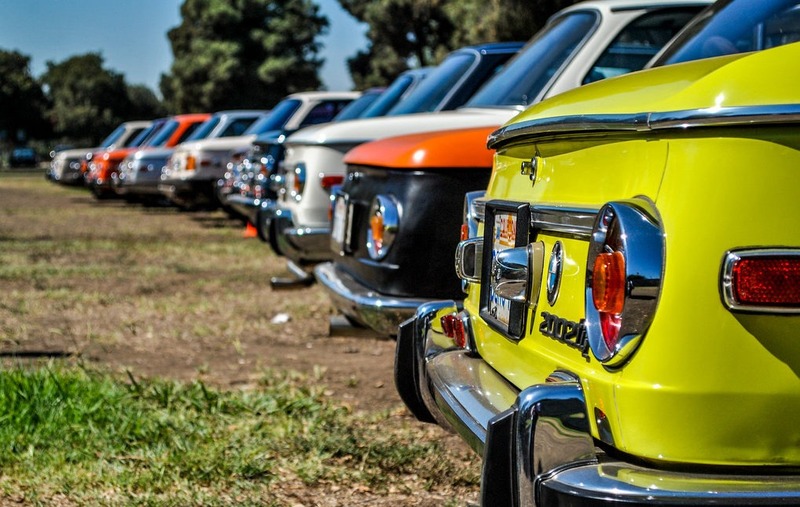 The SoCal Vintage BMW Meet encompasses the entire SoCal Vintage BMW community from the Central Coast to San Diego. Each year we have many drivers caravan down from the SF Bay Area, San Jose, Sacramento, Nevada, Arizona, Washington, Utah and even Florida as well! Each year The SoCal Vintage BMW Meet has a turnout of over 400 cars and drivers - this year will be no different - probably even more! We also give out Driver's Choice Awards for favorite cars voted on by the Meet participants, which is always fun every year. This will once again be a great opportunity to be out with our great Vintage BMW community, seeing old friends and making new ones! Make your plans now so you don't miss the largest independent Meet for the Vintage BMW Community in North America, set in the backdrop of beautiful Woodley Park!